The Cancer Action Network (ACS CAN) is the advocacy arm of the American Cancer Society. It unites and empowers cancer patients, survivors, caregivers, and their families by helping them make their voices heard in the halls of government. ACS CAN educates the public, lawmakers, candidates, and the media about the importance of the government’s role in defeating cancer. The organization publishes non-partisan voter guides. Their candidate forums put lawmakers and candidates on the record to ensure they are accountable for their positions on cancer issues. It presses lawmakers and candidates to support laws and policies that strengthen the fight against cancer. Through its efforts, ACS CAN has obtained legislative victories in securing more cancer research dollars, expanding access to early detection, prevention, and treatment; and reducing suffering and death from tobacco. To learn more or to join, visit http://www.acscan.org or call 1-888-NOW I CAN. I'm a writer. My heart is in science fiction, but I sold sixty-seven devotions before I wrote novels. 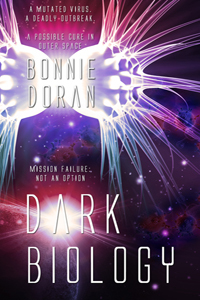 My debut novel, a science thriller entitled Dark Biology, was published with Harbourlight, an imprint of Pelican Book Group. I'm also a cancer survivor, diagnosed with malignant melanoma in 2014. I am currently working on a devotional book for cancer survivors. When I'm not writing, I enjoy reading, old sci-fi movies, cooking, Sudoku puzzles, Scrabble, and hanging out with writers and sci-fi fans. I have a reputation for telling groan-producing puns. I've been married 35 years to John, an electrical engineer and Mad Scientist who plays with lasers for a living. We are owned by two Siamese cats.